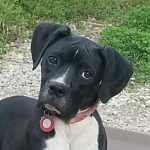 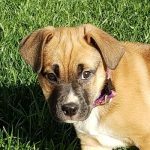 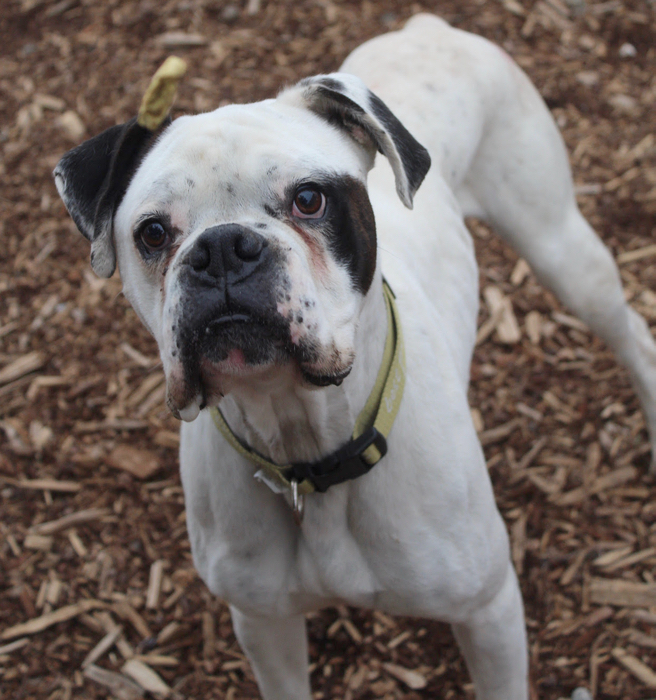 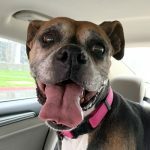 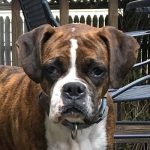 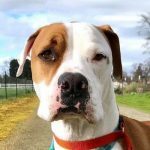 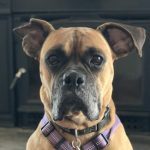 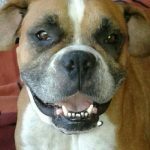 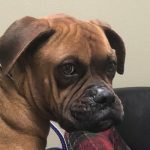 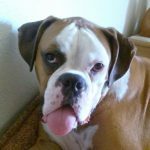 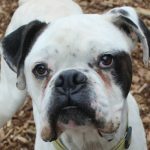 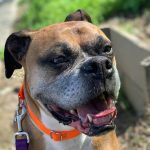 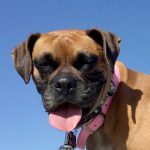 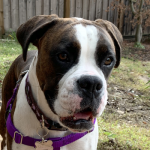 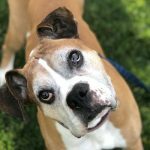 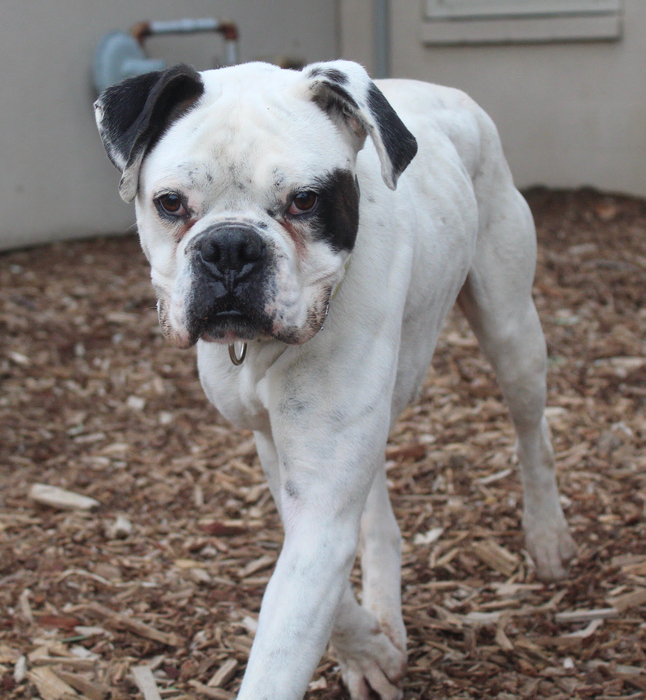 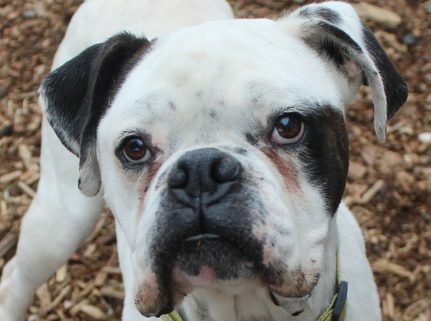 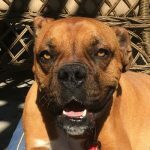 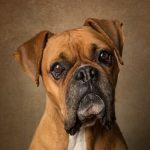 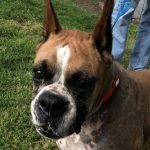 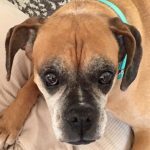 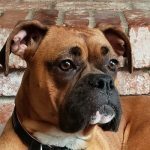 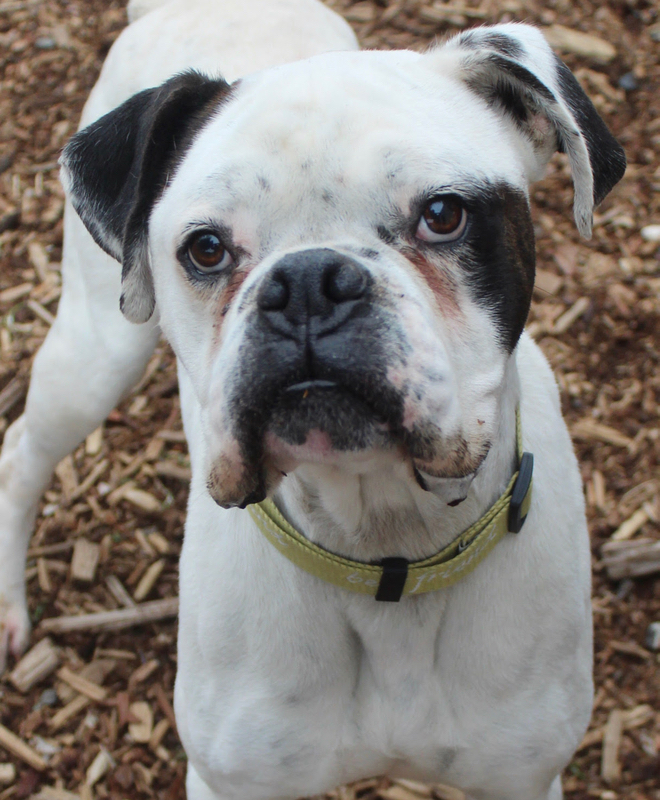 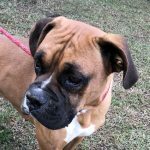 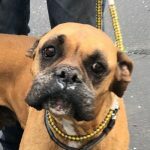 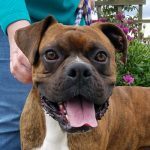 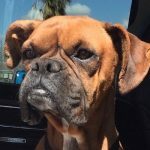 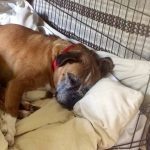 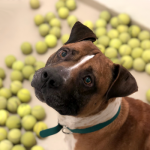 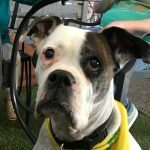 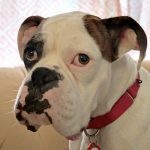 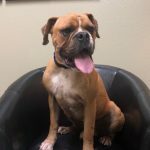 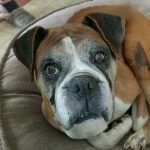 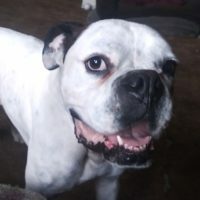 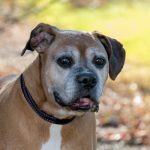 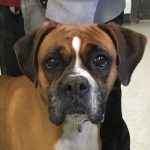 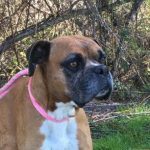 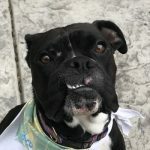 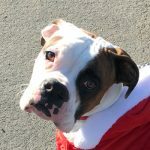 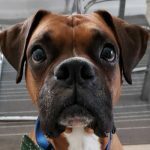 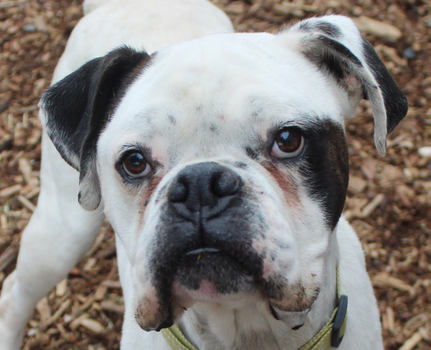 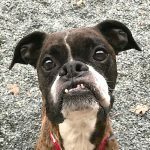 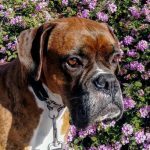 Duncan is a very affectionate boxer who likes to play and loves his walks, greeting anyone he meets with that famous boxer wiggle. 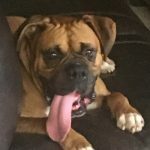 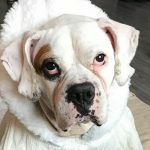 He gets along well with the other dogs in his foster home, but does like to be the king when it comes to getting his human’s attention. 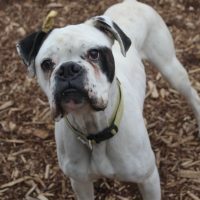 Duncan is a moderately active guy and will need about 60 minutes of exercise a day (a brisk walk, a light jog, or yard play). 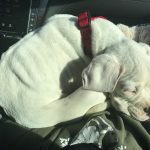 He is fully house trained, rides well in the car, and is learning his house manners. 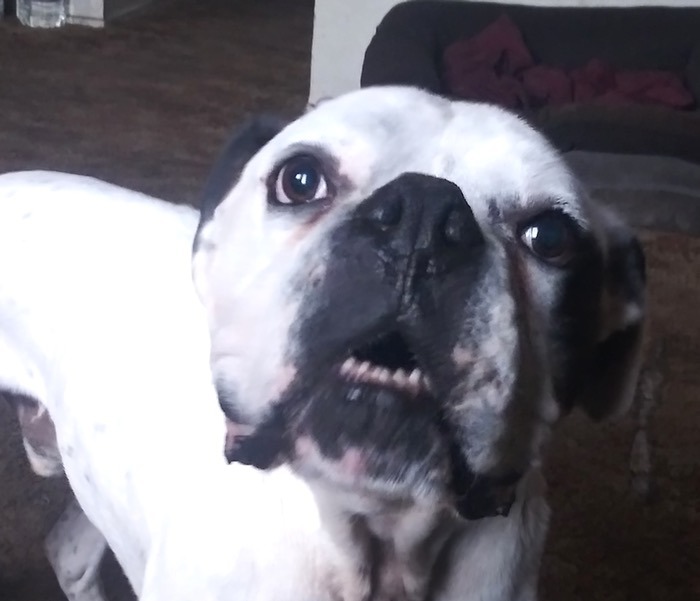 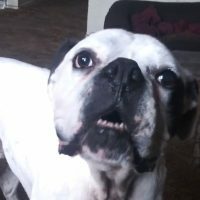 Like most boxers, Duncan prefers to be with his humans rather than staying home alone. 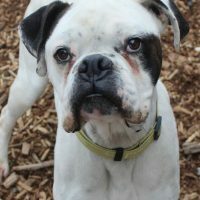 Due to Duncan’s insecurities, any children in the home will need to be 15 years or older. 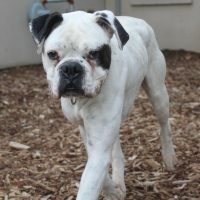 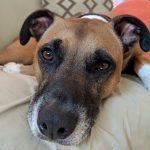 Duncan is a great dog, and in the right home he will flourish and be a wonderful companion to his humans.